Life at the Shack is fun. Our mission is to provide local, fresh, sustainable food and drink with a hefty dose of southern hospitality. Our all-natural, hormone- and antibiotic-free beef is from North Carolina pasture-raised cattle. We serve craft beers brewed in North Carolina and produce from as many local farmers as possible. We make all of our specialty toppings and dressings in the Shack. The Shack itself was built on the same local and sustainable principles. Almost 100% of the interior was recycled from the existing space, our picnic tables and bar tops are made from reclaimed wood and some of the bricks for the patio steps are over 200 years old. Thank y’all for being a part of our little place. Al's Burger Shack brought something new to the Chapel Hill food scene in 2013 and the response has been phenomenal. We're grateful for the support of our neighbors and friends in the community. We're also very proud of the recognition we've received from our local and regional media. Thanks y'all. We're the #1 Burger in Chapel Hill! Indy Week readers named us 2014's Best New Restaurant in Orange/Chatham Counties. The Straight Beef, an award-winning burger blog, names Al's to its list of Top Five Burgers of All Time. 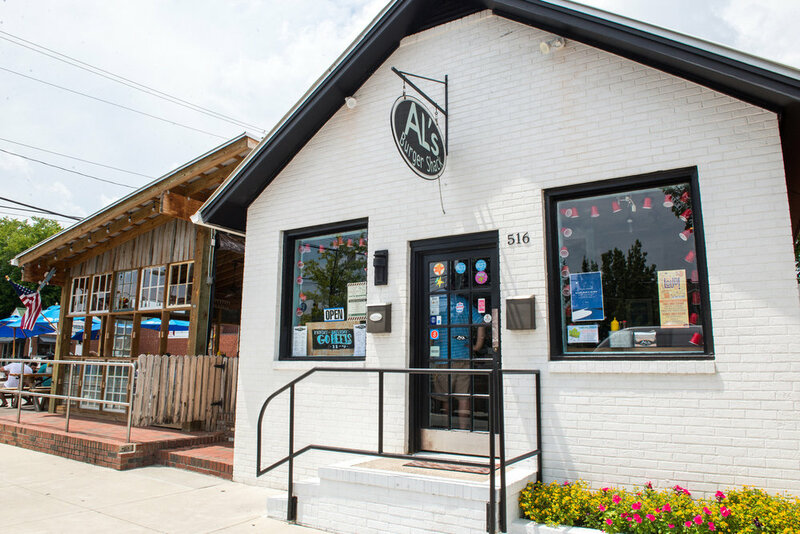 Chapel Hill Magazine calls Al's Burger Shack "an obsession."